MASH is loaded with cinematic experience. Walking down the spiral staircase from the entrance, I feel like I’m in the tracking shot from Goodfellas as the incredible Soho basement building opens up in front of us. Squint and you can just about make Joe Pesci out. Names here are particularly deceptive. 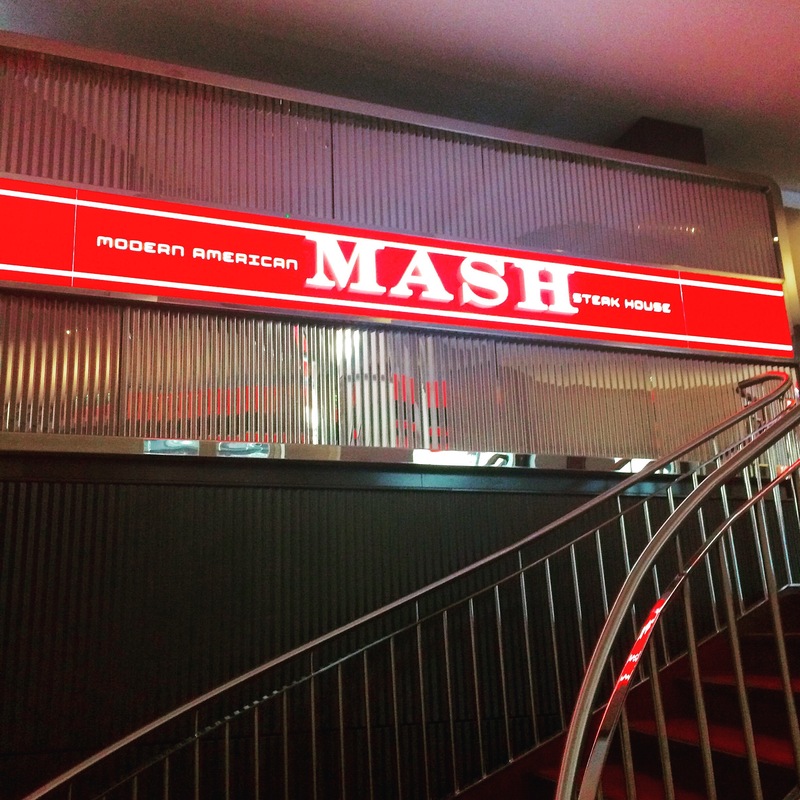 MASH stands for Modern American Steak House – there’s no mash on the menu, in case you’re wondering. In actual fact, this is a Danish restaurant group that specialises in dry aged meat from the mothership. So it should be Modern Danish Steak House, right? I give up. We grabbed a couple of cocktails at the bar before dinner, a bar that we were later informed was designed to look exactly like the one from The Shining. 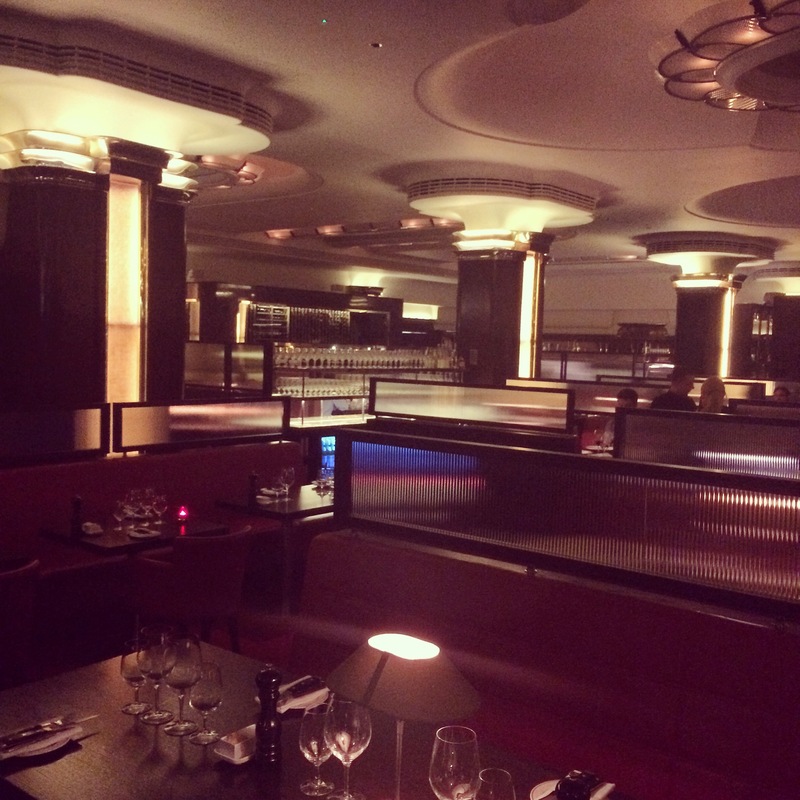 With the light dimmers turned right down and nearby glass fridges adorning butchered meat, there’s a air of the gothic to the place. Cocktails are far from horrifying. Take your pick from the all American menu made with postcards, each drawing on inspiration from different areas of the States. 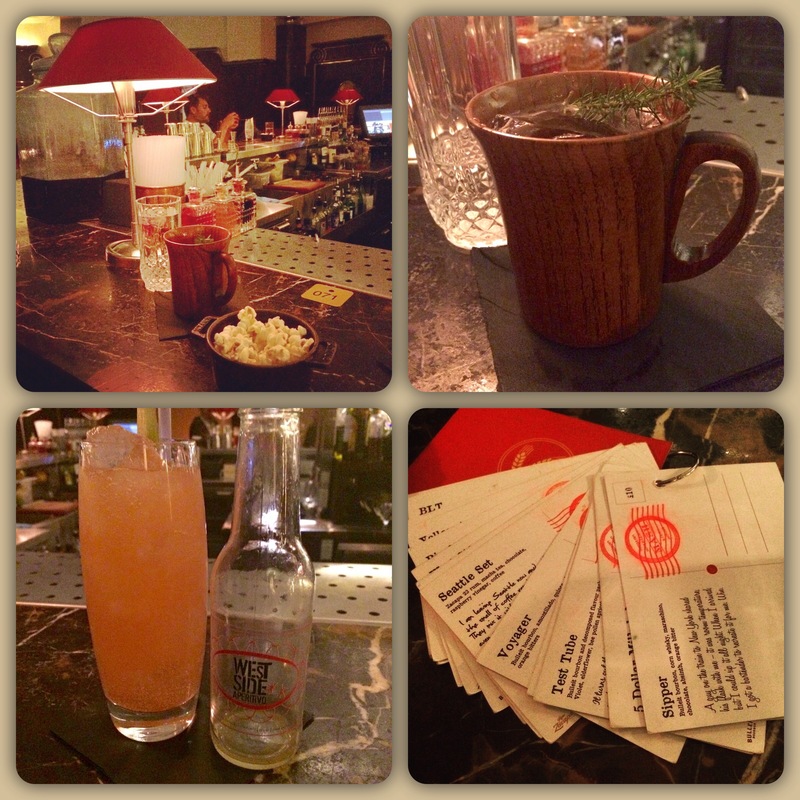 I’d go for A’s choice of the Yosemite: vodka, gin, Beckerovka and a quite wonderful pine infusion. As refreshing as my West Coast Aperitivo was (tequila, Kamm and Sons, rhubarb, apple and pink peppercorn), it came straight out of a bottle which I wasn’t too impressed with. Steve Wonder classics overhead distracted me from being robbed of mixology theatrics. 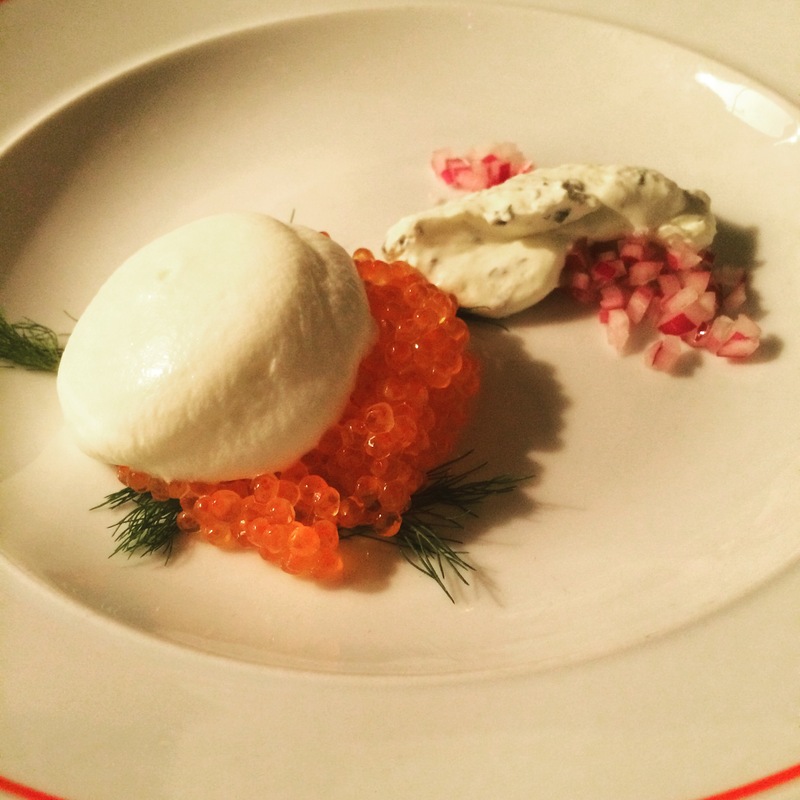 A clear sign that MASH is more than your bog standard steakhouse: the Danish trout caviar. Halfway to cod roe, it was salty but smooth and delicate on the palette, a perfect way to clean the pipes before a massive steak. The plate was beautifully arranged with dill, chive cream, shallots and a potato foam – graceful measured flavours ready for scooping with light warm blinis. That spud connotation doesn’t do MASH justice when it comes to wine either. They’ve got a fantastic selection across the board, their Californian collection being the most mind-blowing. Bottles go from reasonable to so expensive they tell you to ‘ask’ (don’t neck a bottle of Screaming Eagle in a hurry unless you’re minted.) Resident sommelier Jonas had an infectious passion about good plonk and recommended us a cracking ‘No Bull Syrah’ from Central coast CA. Let’s talk meat. 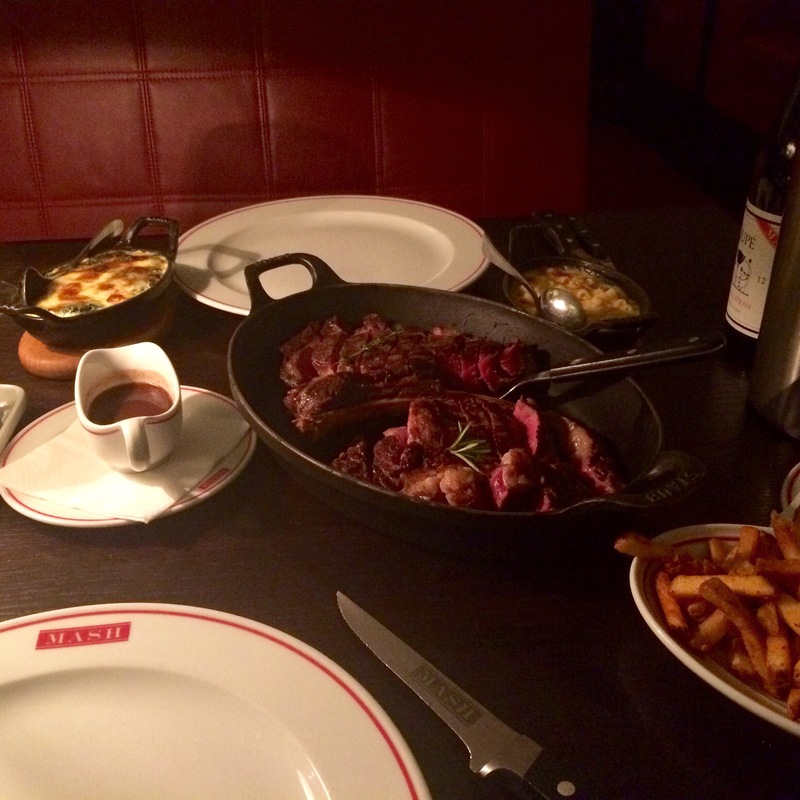 Points definitely go to MASH for variety of meaty choice (have some of that, Hawksmoor/Gaucho.) 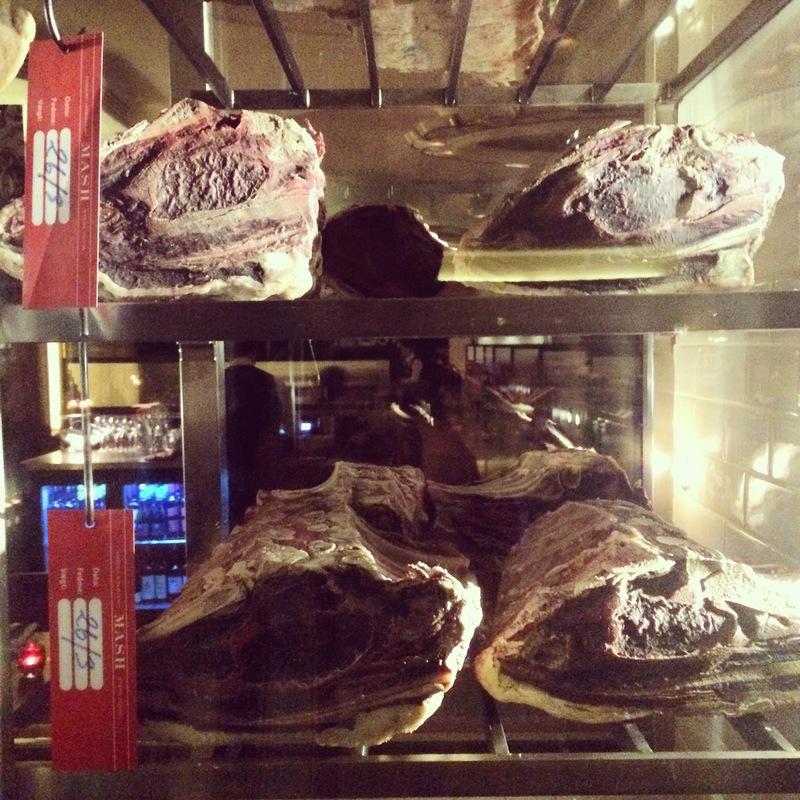 You’re gifted the ritual of being taken through options from the fridges, everything from Uruguayan fillet to a kilo-heavy Australian tomahawk to a grade 7-8 wagyu. Once you’ve picked your steak – and providing you’re happy to share – they’ll cut them up into slices and serve on a sharing dish. Given the restaurant’s roots, it’d be a crime to not try a cut of Danish. They pride themselves on their 90-day dry-aged Scando bovines and I have to say I’ve never tasted anything quite like it before. The ageing gives the meat an almost-gamey richness but there’s still plenty of juice. 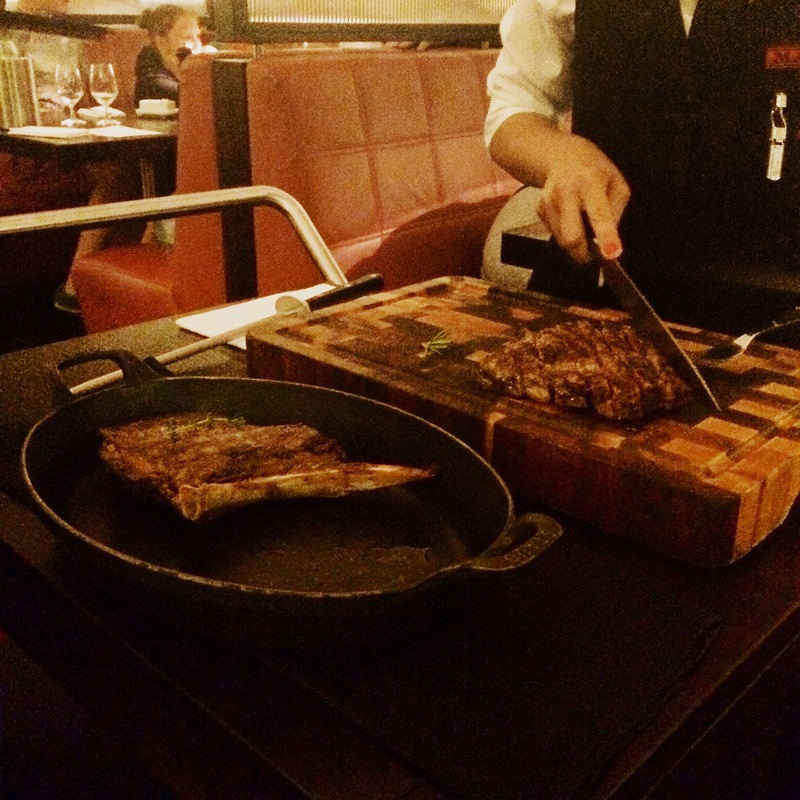 The intensity of flavour was a bit much for us with the 500g long bone but it was still delicious. You’re best off pairing a smaller Danish cut with a larger one from a different destination. 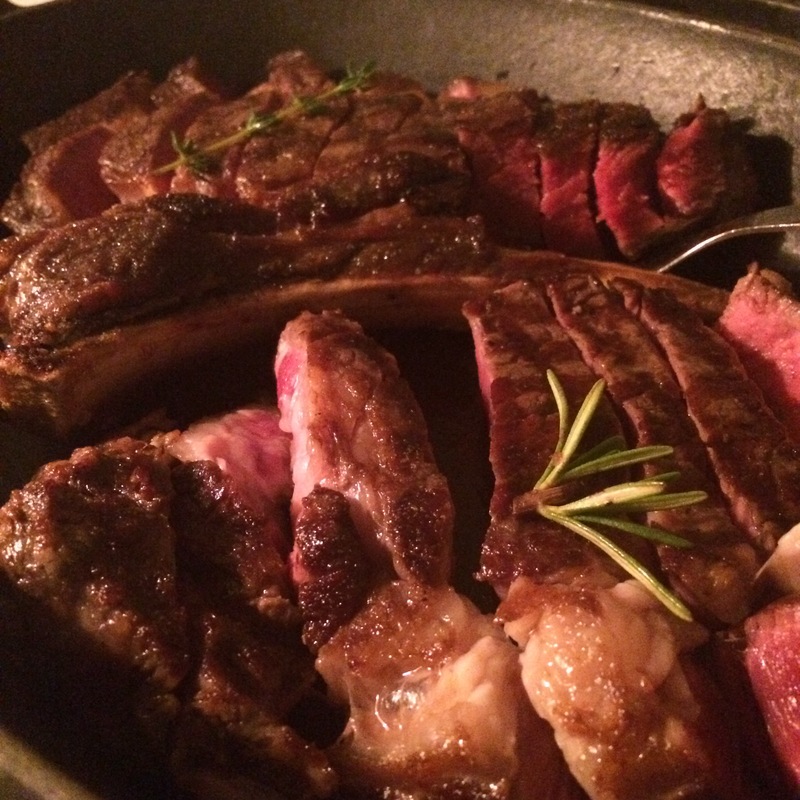 We furiously devoured the 400g American ribeye, in fact I’m kicking myself we didn’t get the supersized bone-in version. Super juicy, silky fat marbling – just beautiful. A rundown of the sides? Why certainly. 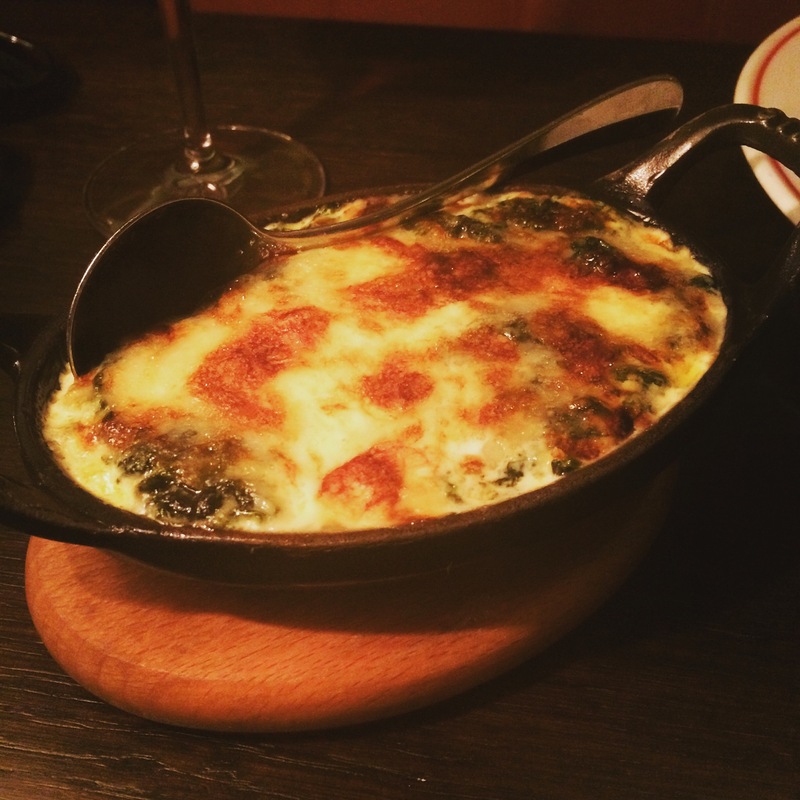 I can’t recall a more enjoyable mac & cheese or creamed spinach (although a caveat that I normally forget what I did at the weekend by Tuesday lunchtime.) The spinach in particular was textbook brilliance, conspicuous on the cream, golden on top and a good amount of bite left in the greens. You wish you could cook spinach this good. Chilli fries were fine. 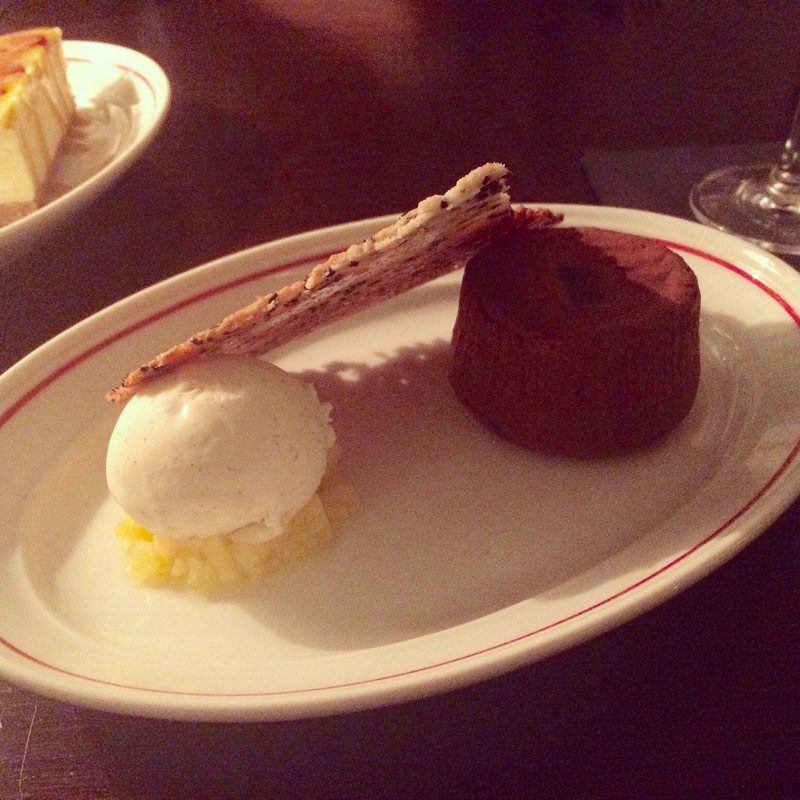 In a genius inception-level bout of upselling, we somehow ended up with puddings without even really wanting them – but saw the error of our ways when tucking in. 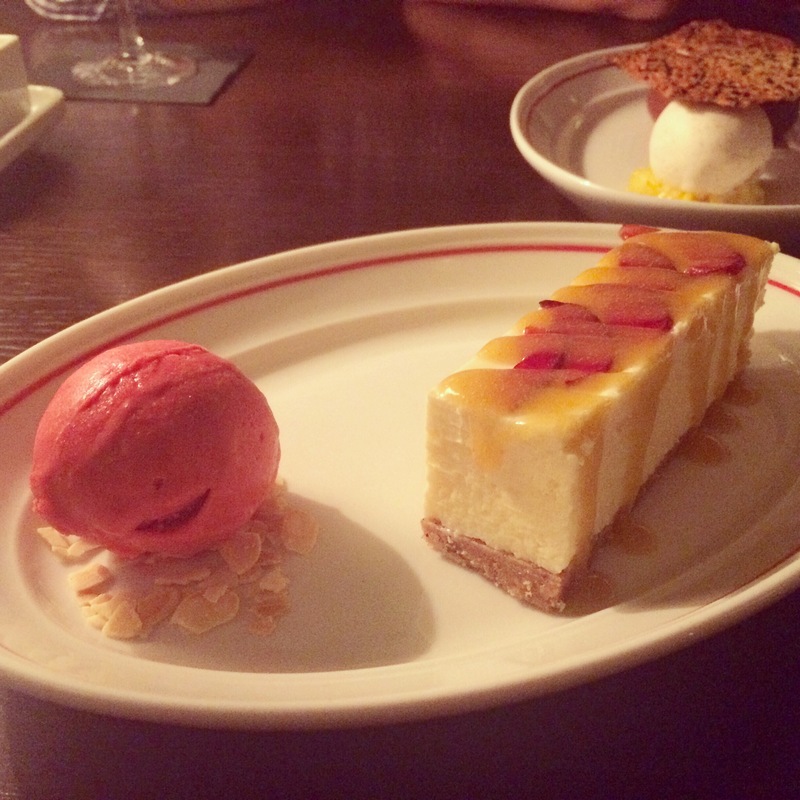 The MASH cheesecake with raspberry sorbet raised a smile, but it was the chocolate fondant with all its accompaniments (thick ice cream, diced pineapple and a top drawer coconut biscuit) that truly lodged in this amnesiac’s brain. So basically, this is a very long-winded way of me trying to tell you that MASH is none of these things: 1) a cockney geezer pie and liquor gaff, 2) an East London crushed potato concept bar, or 3) a deep tech house all-night rave scene in Peckham (let’s get mashed at MASH!). 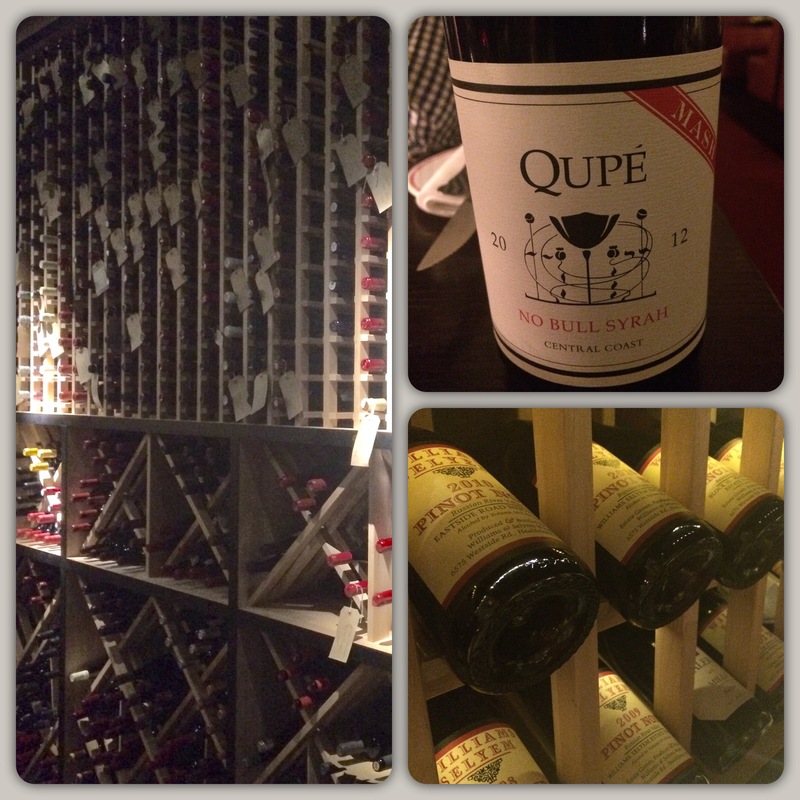 It is, however, a bloody good cocktail bar, an even better wine establishment, and one of the best steakhouses in London. Go Danish or go home.